O Level Result 2018 Release Date Singapore GCE ‘O’ Levels Results 2018. Release of 2018 Singapore-Cambridge GCE ‘O’ Level Examination Results and 2018 Joint Admissions Exercise for Junior Colleges, Millennia Institute, Polytechnics and Institute of Technical Education. The results of the 2018 Singapore-Cambridge General Certificate of Education Ordinary Level (GCE ‘O’ Level) Examination will be released Between 12 and 14 January 2018 (tentatively). School candidates may collect their results from their schools at 2.00 pm on 12th January 2018. (If O Level Result 2018 has been released on 12th). Private candidates will be informed of their results by post. Private candidates may also access their results through the Singapore Examinations and Assessment Board website at http://www.seab.gov.sg from 2.00 pm on 30th January 2018. Some 82.7 per cent of the students who took the GCE O-level examination last year achieved five or more passes – the highest in recent years. In 2012, 81.3 per cent scored five or more passes. The figure had stayed below 82 per cent in the past few years. Out of the entire cohort of students who sat for the examinations in 2013, 99.9% managed to score at least 1 pass and 95.7% with at least 3 passes. 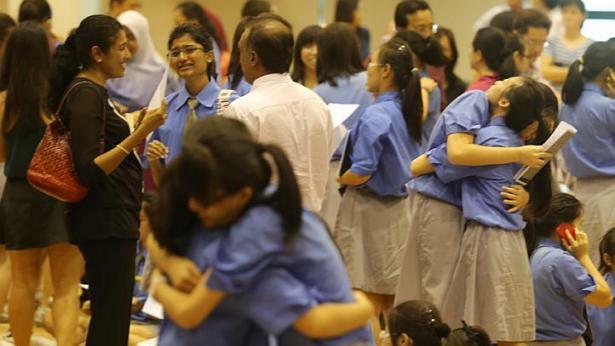 You may register up to a maximum of nine subjects for GCE O-Level Examinations. The list of subjects available for GCE O-Level private candidates are found on our website. The Singapore-Cambridge General Certificate of Education Ordinary Level (O-level) examination is held annually in Singapore. The examinations are mainly set by the University of Cambridge Local Examinations Syndicate (UCLES), while Mother Tongue subjects such as Chinese, Malay and Tamil and Combined Humanities (Social Studies) are set by the Singapore Ministry of Education (MOE). Recent studies show that approximately 30,000 students take Singapore-Cambridge O-Level exams annually. Candidates are graded based on their performance relative to the cohort. A grade in one GCE exam subject is a number with an accompanying letter. In descending order, the grades are: A (1,2), B (3,4), C (5,6), D7, E8, and F9. A grade of C6 or better is considered an O-level pass. Obtaining a pass in one or more subjects will lead to a Singapore-Cambridge General Certificate of Education (Ordinary Level). Candidates whose subject(s) are denoted as ‘Absent’ – should they be absent from any component(s) for the subject – will not have the subject listed on the certificate; this is likewise for those who obtain a Grade 9, though it will appear on the result slip Singapore GCE O Levels Results 2018.